A challenging thing about being a working Mom & starting your own business is finding the time to fit everything in. Just the other day I was trying to fit in some time to take photos of new products. I needed to get them in before the sun went down so I needed to sneak in some photo time. I decided to take the photos in Lucy’s room where I would find the most light. As I was taking photos, Lucy walked in and wanted see what was going on. As I snapped the next photo you can see the results of her curiosity above. I really love this photo. It is a connection between my work & my life in one photo. And a reminder that family is always the most important part of my life. This past Sunday was an absolutely beautiful day. For me it was my favorite kind of day. Sunny, not to hot, not to cold and early enough in the season that things aren’t swarming with bugs. So I was able to relax in the outdoors. Genevieve and Lucy enjoyed playing on our swing set and treehouse for a time. 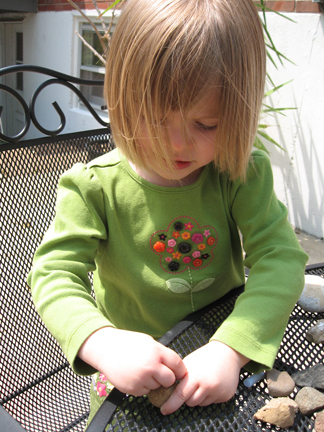 Then Genevieve went to dig in the dirt and Lucy and I went to our patio to enjoy our newly found creative activity. Rock Drawing! Rock Drawing you ask? Yes, Rock Drawing, it was a fun creation we came up with a couple of months ago. 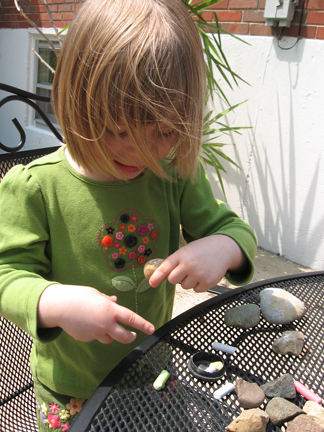 The kids collect rocks from our yard and then haul them to our patio table. 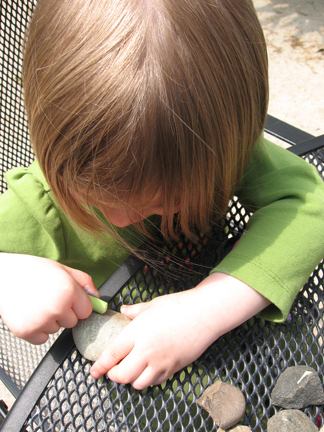 Then we get our chalk and start drawing on our newly found rocks. It’s a great way to give the kids (or more honestly myself) a break from all the running around outside. And a fun alternative to drawing on paper. And the best part is you can just leave the rocks out and reuse them again next time your outside. If it rains, all the better, you have a clean slate. It’s still us. We’ve got a new look! 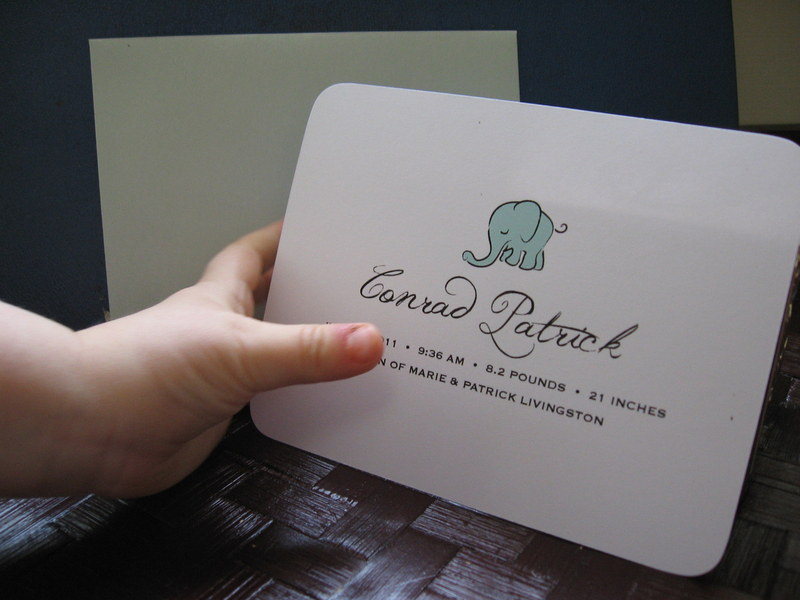 Well, with all the excitement of opening my new business – a huge accomplishment for me. It is nice to be reminded that there was once a time where much simpler accomplishments were a big deal. Being a Mom helps remind me of these. And how much fun it is to reminisce of my childhood, while watching my children meet these milestones. Just a couple of days ago, my daughter Genevieve, found that she had a very loose tooth. She was very excited! She entertained the thought that the next day at school it would fall out. The next day, when I picked her up from school, she ran up to me with a small certificate with a plastic bag attached. In the plastic bag was her tooth! She was so excited and proud that she was growing up to be a big girl. I can remember the excitement I had as a child when I lost a tooth. It is so much fun to see my children feel the same. Being inspired by the loss of the tooth, I found a couple of cute links with the same theme. Enjoy!